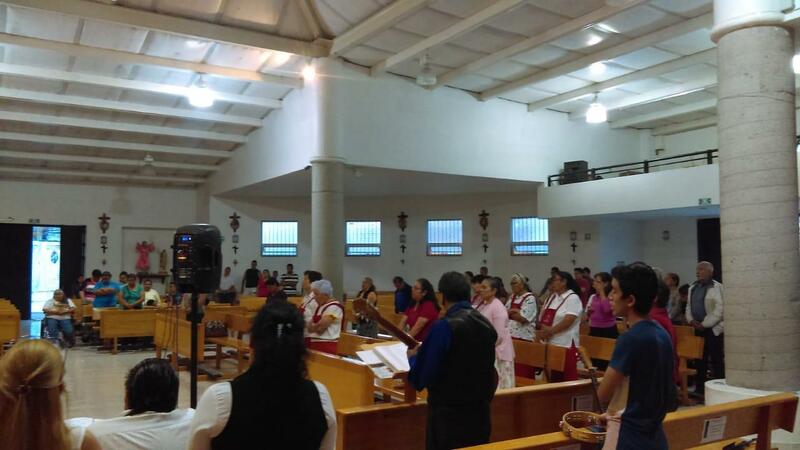 This Tuesday, as every 7th of the month, was the day of the Prayer Cenacles of the Mission in the Parish of Jesus Christ, High and Eternal Priest in the city of Querétaro. It begins with the Holy Mass praying for the prayer cenacles, followed by a Holy Hour where the Sorrowful Mysteries are prayed with the meditations of the Mission For the Love of God. Each month seven different families participate: one for the initial prayer and petitions, 5 for each mystery and the last family for the litanies and the choir accompanies them with praises. 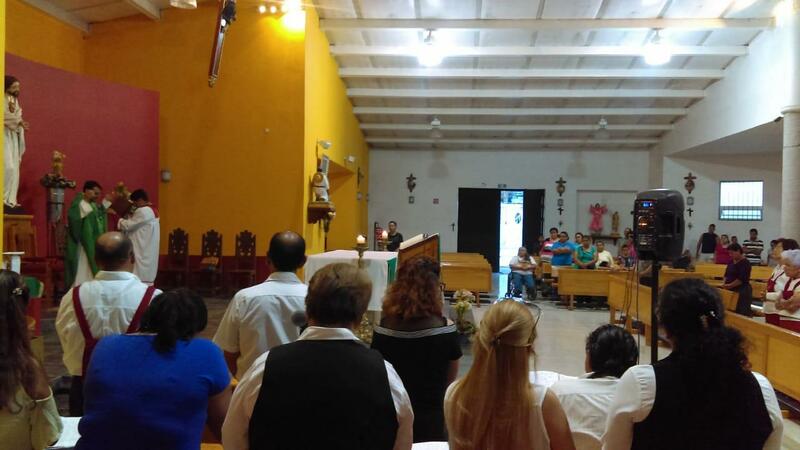 We thank God for the perseverance of all the families that participate.